Rolling into the cool and crisp mountainous climate of Boquete after spending the last month on the beaches of Colombia and Panama was a breath of fresh air (literally). This small town in the highlands of Western Panama is the home to Panama’s most famous coffee region and is a favourite spot amongst US retirees. But don’t let the whole retiree thing deter you! I fell in love with Boquete as soon as I arrived. And while I was only meant to stay 3 days I ended up extending my stay for a week (this may have also had something to do with me staying in one of the best Boquete hostels – Jungla Experience). 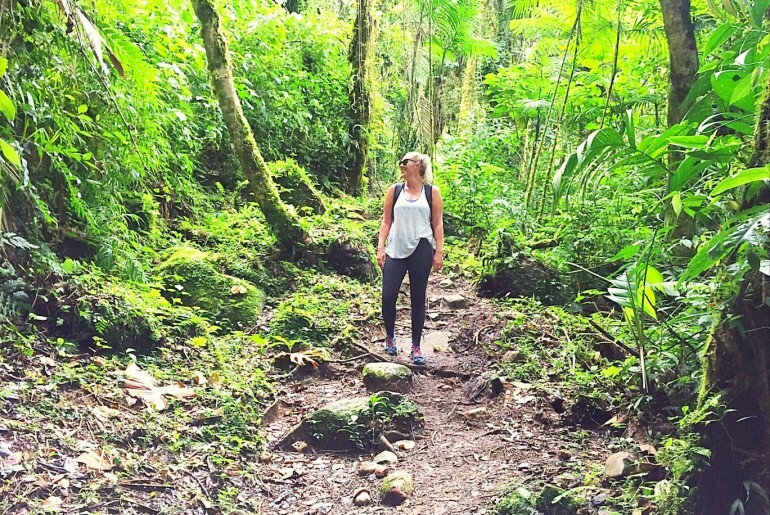 From hot springs to fantastic hikes and some of the world’s best coffee here are all the things to do in Boquete Panama before you leave. Ok, I’m going to be honest. Even though this is definitely one of the best things to do in Boquete Panama. And pretty much everyone who visits the town has this at the top of their Boquete Panama activities list. I didn’t actually hike the volcano. I’m still too scarred from my terrible experience hiking Volcano Acatgenango in Antigua. However, I did meet many people in the hostel who did the hike, and judging by their experiences I can definitely recommend the night hike up the volcano to watch the sunrise over both the Caribbean and Pacific oceans. It’s actually one of the only places in the world you can do it. How to get to Volcano Barú: Jungla Experience Boquete Hostel can book a joint shuttle for you for $5 per person. And it’s a good option if you’re a solo traveller. However, the best option is to get a group of four together and take a taxi which will cost you around $12 USD. Which once again Jungla Experience can organise for you. There is also the option of taking a 4×4 all the way, but this costs about $150 USD. As it’s a night hike that takes 4 – 5 hours you should leave between 11 pm and 12 am in order to make it to the summit by sunrise, depending on your speed. Cost to hike Volcano Baru: Entrance to the national park is $5 USD. 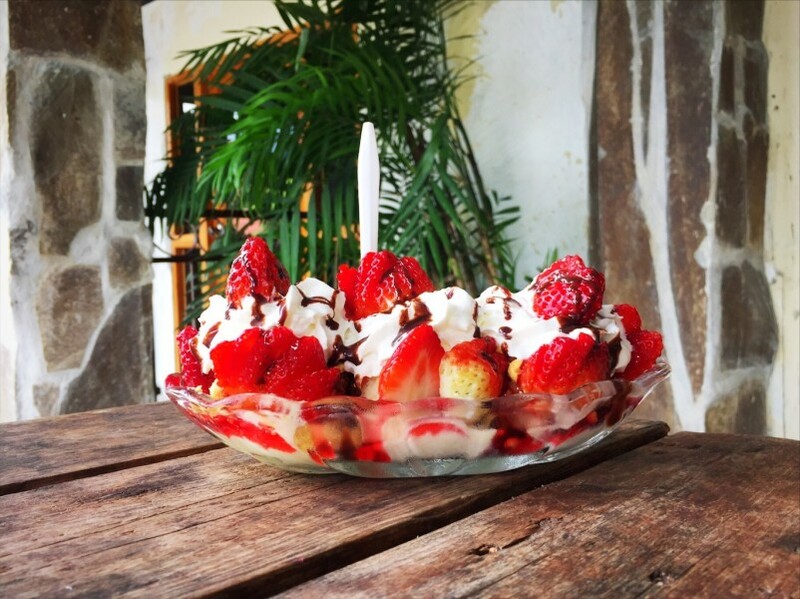 This is the incredible strawberry split from Fresas Mary one of the best restaurants in Boquete Panama. 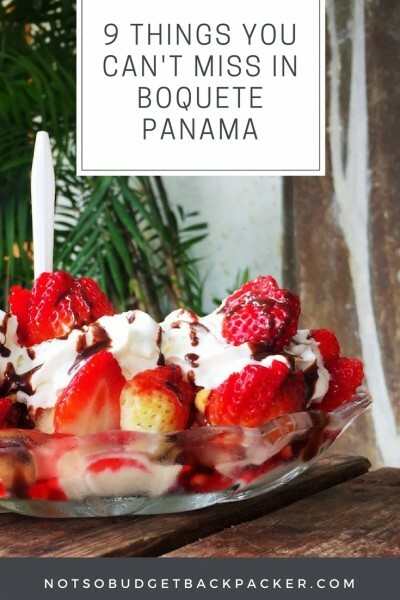 When researching what to do in Boquete Panama, Fresas Mary came up on every list, so I just had to check it out. Fresas Mary as per the name is a cafe serving all things strawberry. Including freshly picked strawberries, shakes, ice cream, yoghurt and the incredible strawberry split. This alternative to the banana split is packed with strawberries, ice cream, cream, peanuts and chocolate syrup. It’s the perfect way to reward yourself after a day of Boquete Panama hiking. Especially if you’ve just spent half of the night up Baru. How to get to Fresas Mary: It’s an easy 40-minute walk from Jungla Experience or town or a quick 5-minute journey by bus or taxi. Cost: The strawberry split will set you back around $3 USD. One of the incredible Lost Waterfalls Boquete. 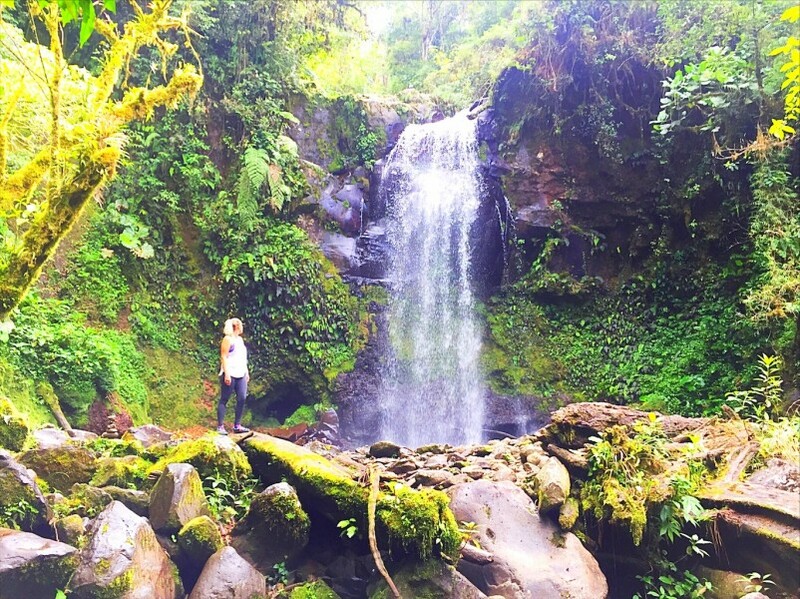 The Lost Waterfalls hike is definitely one of the top things to do in Boquete Panama. 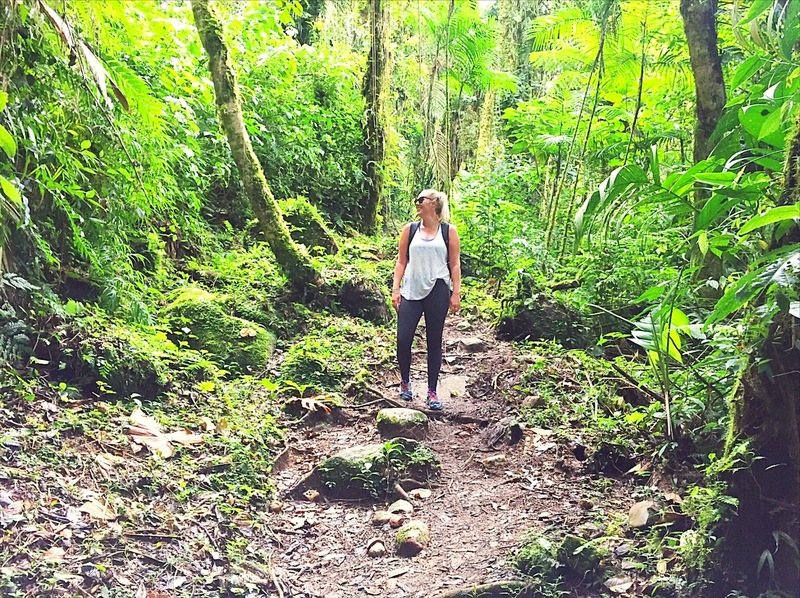 The Lost Waterfalls hike was definitely one of my favourite things to do in Boquete Panama. The hike itself was absolutely beautiful, taking you through dense jungle with nothing but the sounds of the birds around you and the few hikers you met along the way. The three waterfalls are some of the prettiest I’ve seen in Central America. And even better, the 3-hour round trip hike is pretty easy. The recommended path is to start with waterfalls 2 and 3 and then loop back and finish with waterfall 1. How to get to the lost waterfalls boquete: From town find the area where all the local buses are leaving from. Just ask a local, they should be able to point it out. Once you’re there ask for the next bus to Bajo Mono (la proxima bus a bajo mono?) Once on the bus ask the driver to drop you at ‘los tres cascadas‘. The bus ride takes about 30 minutes and costs $2.50 USD. Don’t skip this, it was one of my favourite Boquete activities. One of the best parts of staying at the Jungla Experience Boquete Panama Hostel was the almost daily yoga classes for $5 USD. Now, I’m pretty much a yoga beginner. But starting every morning with a slow and stretchy Hatha yoga class with Alejandro at Yia Yoga absolutely made my time in Boquete. Even if you’ve never tried it before, I definitely recommend having a crack while you’re here. As the hostel has a special $5 deal there’s no reason not to! The classes with Alejandro run Monday – Thursday and Sat and Sun at 9:00 am. You can find information on all classes offered by Yia Yoga here. Nailing my warrior one pose was definitely one of my favourite things to do in Boquete Panama. How to get to Yia Yoga: Yia Yoga is located in the centre of town. if you’re staying at Jungla Experience it’s a 60 cent cab from the hostel. Cost: $5 special price for hostel guests. If you aren’t staying at the hostel a class costs $13. Which is still super reasonable! If you’ve been travelling for a while and need a taste of home, don’t miss the Tuesday morning Farmers Market in Boquete town. There are a large array of stalls selling things like homemade sourdough bread, falafels, fresh organic vegetables, jams and spreads and some amazing gluten-free bakery treats. Voilà, no more wondering where to eat in Boquete Panama! The market runs from 9 am to 12 pm every Tuesday in the centre of town. And the best part? Free samples! This was definitely one of my favourite things to do in Boquete Panama. How to get to the Farmers Market: The Farmers Market is held in the centre of town at the Boquete Community Players Theatre & Event Center. 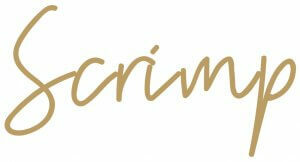 Cost: Free + how much you decide to spend on gluten-free cinnamon scrolls! 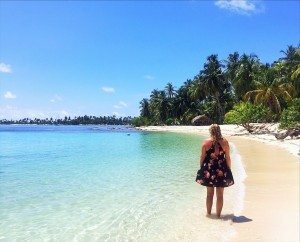 Wondering what to do in Boquete Panama? 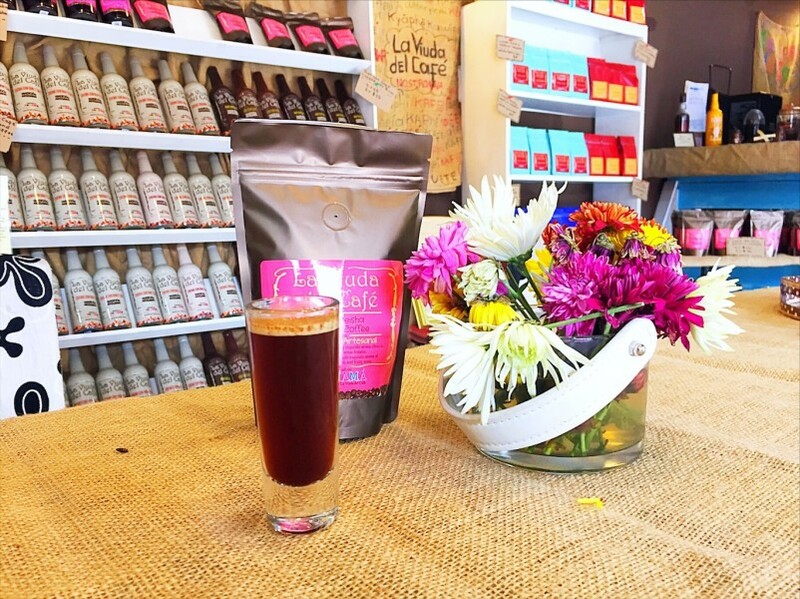 Give the world famous Geisha coffee a try. Coffee in Boquete is taken very seriously. There are a tonne of coffee shops all serving up delicious brews. My favourite of the bunch is the Coffee Widow (La Viuda Del Cafe). Sounds ominous I know. But no need to worry. The coffee here is delicious and they are one of the cafes in town serving up the famous Geisha coffee. This coffee is grown around many flowers which gives it its floral taste and is said to have a flavour profile that is similar to tea. It’s also one of the most expensive coffees in the world. Head here for a delicious latte or cappuccino or treat yo’ self and try a cup of the famous Geisha for $6 USD. How to get to the Coffee Widow: The Coffee Widow is located in the centre of town and can be found easily using Maps.me or Google Maps. There’s no better way to relax those tired hiking muscles than soaking them in these steamy natural hot pools that are surrounded by stone walls. The Caldera Boquete hot springs on the outskirts of town are one of the top things to do in Boquete Panama for that reason. There are some agencies offering tours for $15 – $20, however, it’s really easy to visit yourself and the entry to the pools is only $2. How to get to the Caldera Hot Springs Boquete: Head to the bus stop in town and ask for the next bus to Caldera. There are not too many buses leaving each day, so head there the day before to ask for the times. Once on the bus ask them to drop you at ‘la entrada a Aguas Termales’. Once you’re here it’s a 40-minute walk to the pools. Your other option would be to get a group of people together and take a taxi. You can’t travel to Boquete Panama, one of the best coffee regions in the world, without getting a behind-the-scenes look at how they make the stuff. The coffee tour with Finca Dos Jefes is a great way to spend a morning or an afternoon. It includes an overview of the history of coffee in Boquete, walking tour of the farm and factory, a coffee tasting and a demonstration on how they roast their beans. How to get to Finca Dos Jefes: As part of the tour, they offer free transportation to and from the farm. On your way to the Lost Waterfalls hike you’ll probably drive past a cool looking rock wall. Climbing that wall is actually one of the top things to do in Boquete Panama. Now I’m not a massive fan of heights so I avoided the wall myself. But a few people at the hostel did it with Boquete Outdoor Adventures and absolutely loved it. How to get to the Climbing Wall: As part of your tour they offer free transportation to and from the wall. There are so many lovely Boquete Panama hotels and hostels to choose from. So if you’re on the hunt for the best place to stay in Boquete no matter what your budget you’ve come to the right place. 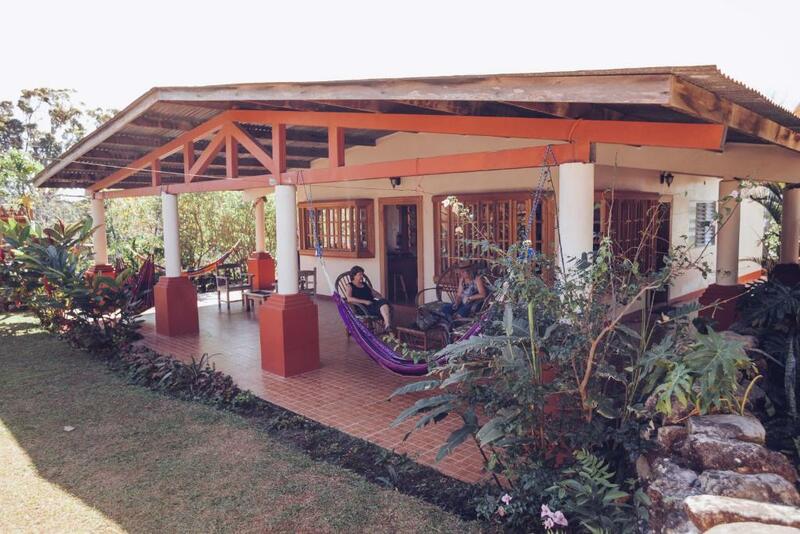 One the best hostels in Boquete. Awesome kitchen, free washing facilities, netflix and family dinners. A little further from town, clean and well equipped with a huge backyard with chickens providing eggs for brekki. Lovely, quiet B&B located close to the centre of town. With friendly hosts and beautiful gardens. One of the best hotels in Boquete with gorgeous views and expansive grounds set in the mountains. They even roast their own coffee. If you’re arriving in Boquete from Panama City it’s pretty easy to arrive by local bus. Head to Albrook Station and catch the bus to David (approx 6 hours / $16 USD). Then it’s a 45-minute bus from David to Boquete for $2. All Over The Things To Do In Boquete Panama And Want More?